It’s probably a new name to most of us, but the Empire Roots All Stars band plays live at the venerable Towne Crier, in Beacon, NY, and it’s going to be a foot-stomping night of ragtime, gospel and blues. Many moons ago, street singer the Reverend Gary Davis was Woody Mann’s teacher, and Mann hung onto the tapes, the music and the love of teaching Davis passed on to him. Over the course of six or seven years, Mann produced a film about Davis’ life, loosely based on those tapes; now he’s gathered the musicians who played the score as “The Empire Roots Band” and released an album, Music from the Film Harlem Street Singer, which incorporates four original film tracks and another seven tunes Davis played on the streets of Harlem. 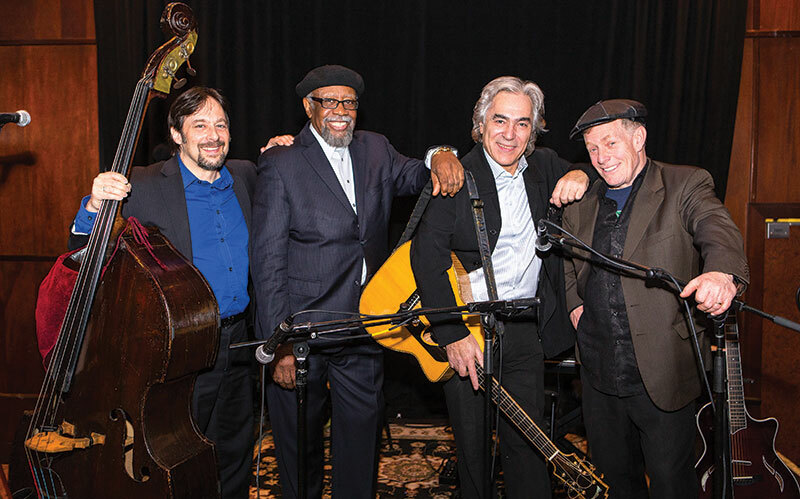 Mann didn’t skimp on talent: bluesman Bill Sims, subject of a ten-hour PBS documentary, provides the lead vocals; Blues Music Award nominee, Broadway arranger and go-to sideman Dave Keyes (Gladys Knight, Bo Diddley, Lou Rawls); and bassist Brian Glassman round out the quartet. These are busy musicians playing the music of a blues master, a rare opportunity, and not to be missed. Copyright © 2019 Empire Roots Band. All Rights Reserved.